Today we woke up on a mission: visit schools…whatever it takes. We fuelled up on caffeine and hit the road. 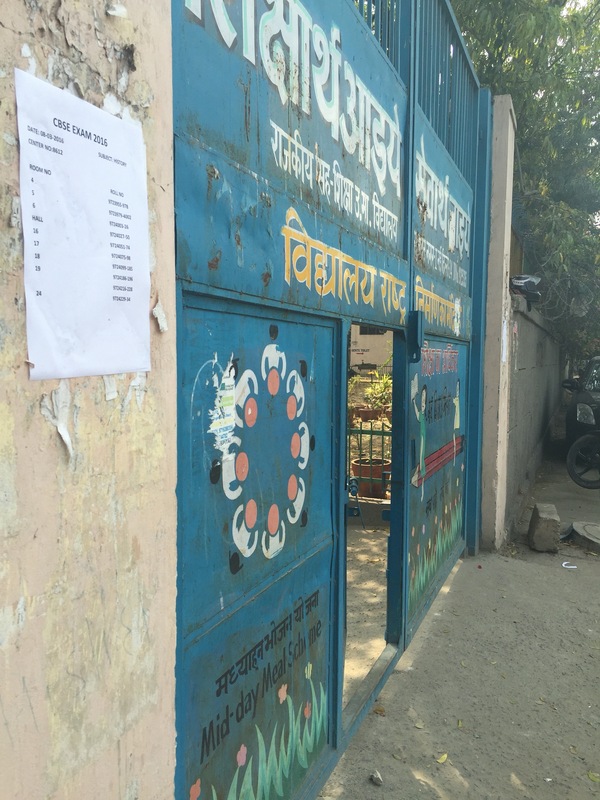 First stop: the government school around the corner from our hotel. I had wandered by it last week when I went for a walk and since it was so close we though it may be a good place to start. At best, we were hoping to be invited in to see the students in class, worst case scenario – be kicked out of the school. We arrived at the front gate of the first school and asked for the principal. We were taken into the main office where I introduced us at Newcastle University students and asked if school was in session. The principal said yes, and then I asked if it would be possible to get a tour and speak to some students and teachers. Fun fact: when people in India don’t want to help you, they all of a sudden can’t speak or understand English. We were promptly waved off and told to leave. C’est la vie. On to the next! Steph and Pau remembered a school they had passed on their walks to ARK during the week so we decided to head that way next. We stopped off by a bookstore on the way and Steph was able to purchase a couple of history textbooks that will hopefully help with her dissertation. The next school was a co-ed senior secondary school. A very nice gentleman on the street helped us communicate with the woman at the gate who invited us in and took us to meet the principal. Unlike the first school, this principle welcomed us in with no hassle at all. He noted (as we were already aware) that testing was in process, so we couldn’t interact with students, however, he did call a couple teachers over and one was nice enough to give us a full tour of the school. We ran into the Vice Principal and a long-standing Maths teacher during our tour and they invited us in for tea. We ended up chatting with them for over an hour and even had the chance to give them a few of our teacher surveys. They were incredible welcoming and very interesting to talk with. Many had been at this school teaching or in administration for decades. It did spark my internal skepticism about the amount of “work” they actually do day-to-day, but their hospitality was undeniable and they were kind enough to welcome us in unannounced so I will reserve my judgement on their teaching abilities. The school facility really was impressive. They had a special needs class, ramps to make the school handicapped accessible, classrooms were large and the physics room had lab tables and necessary instruments. Compared to the low cost private schools, the facility was clearly more conducive to quality teaching, that said, we did not get to observe any classes, so it is hard to tell for sure. After spending several hours with the teachers and having a final meeting with the Principal to share our thoughts and findings, we were exhausted and ready to head back to the hotel for some dinner. Darren had been feeling really ill, so we checked in on him and made our way to the Vasant Vihar area to have dinner with a colleague of Dr. Mitra’s that works with the SOLEs in Delhi. 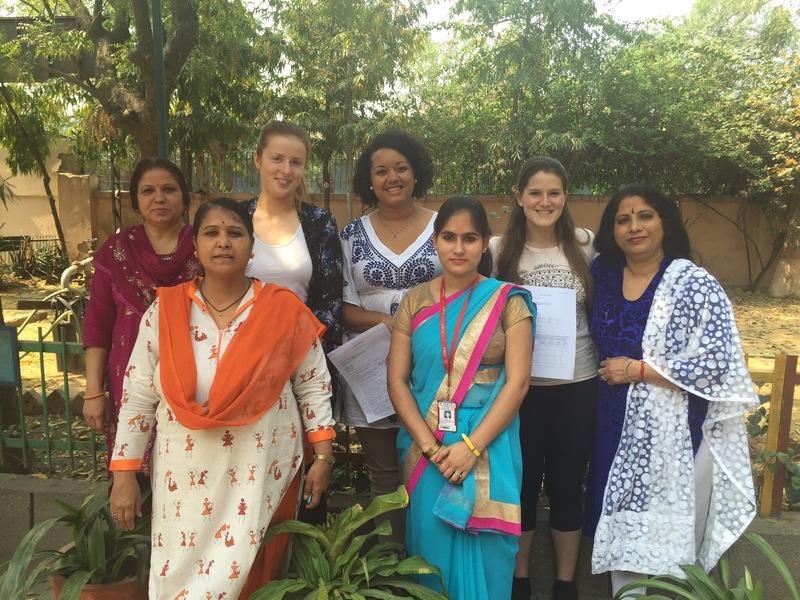 It was great to connect with her and hear more about her experience of education in India. 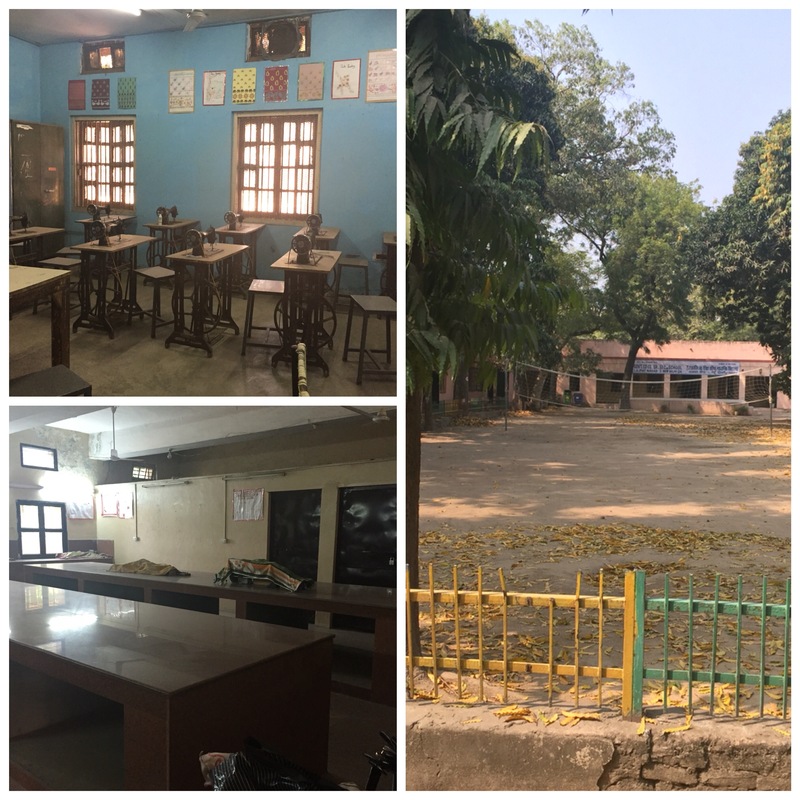 While we didn’t get the full experience of seeing a government school in action, it did feel good to at least get a tour and have those discussions with the government school teachers. We got a great contact today who offered to let us come out to his school on Thursday and we have another visit planned for a rural community on Friday. Unfortunately the meeting for tomorrow didn’t work out so it looks like we will do more knocking on doors tomorrow to see what we can find on our own.